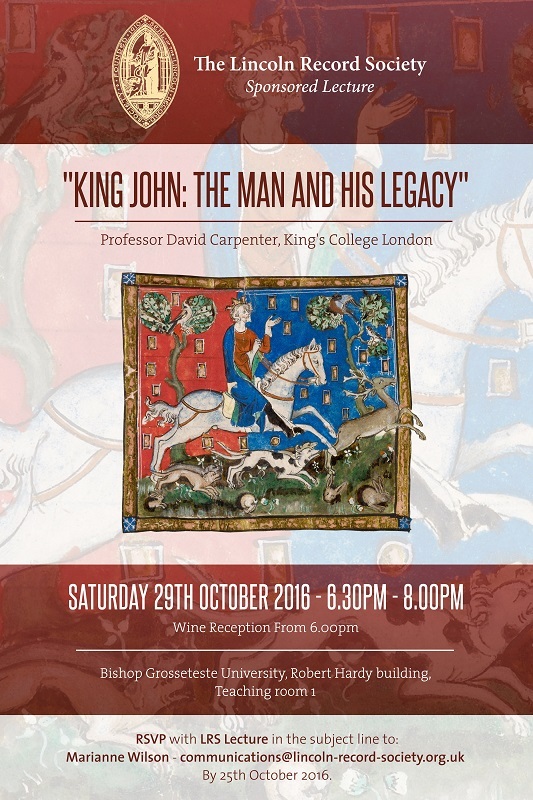 Please find attached an invitation to a lecture by Professor David Carpenter (KCL), sponsored by the Lincoln Record Society, "King John: The Man and his Legacy". The lecture will take place in Teaching Room 1 of the Robert Hardy Building at Bishop Grosseteste University at 6.30 on Saturday 29th October 2016. There will be a wine reception from 6pm. We look forward to seeing you there!